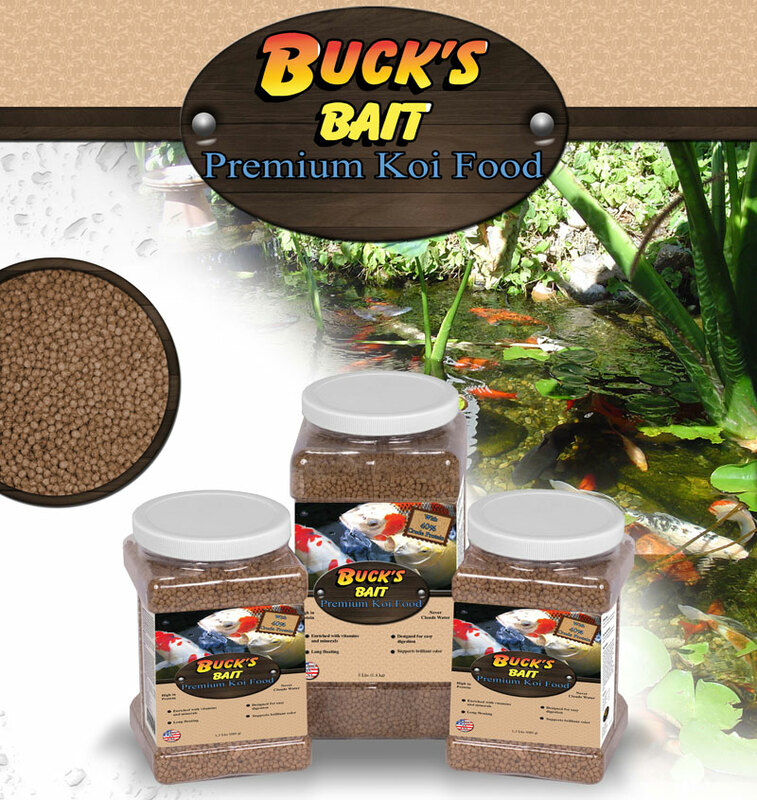 Buck’s Bait is a high-quality, nutrient-rich fish food. High in protein, and locally made, this premium koi and goldfish food is great for keeping your fish happy and healthy. The rule of thumb for feeding fish is: however much they can eat for 5 minutes and no more. Remember- no feeding if the water temperature is below 55 degrees.